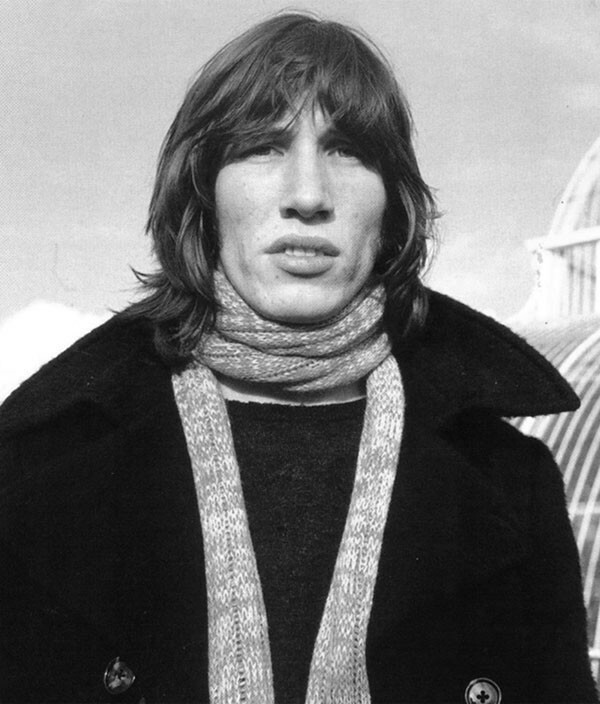 Following the departure of Syd Barrett from Pink Floyd, bassist Roger Waters became the group’s creative force. This was the case from Pink Floyd’s third album, Ummagumma, which was released in 1969, right through to 1983s The Final Cut. 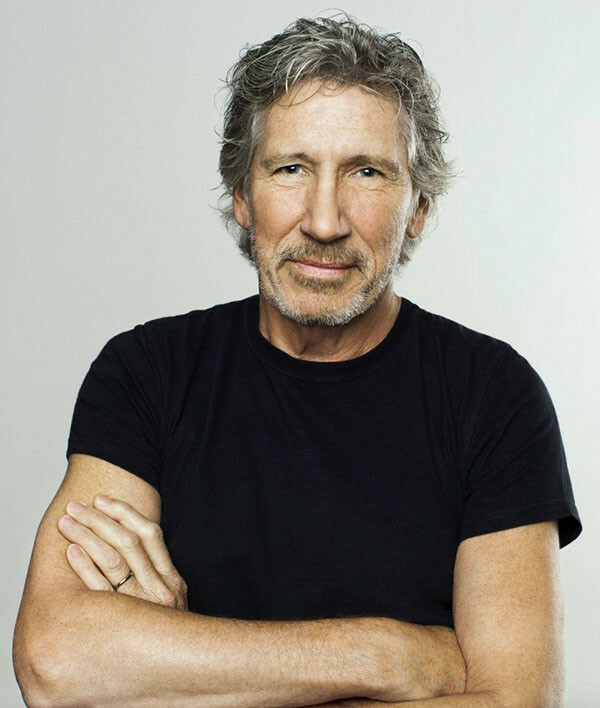 After the release of The Final Cut, Roger Waters left Pink Floyd. It was a bitter breakup. However, things had been coming to a head for some time. Richard Wright, one of the founding members of Pink Floyd had been sacked from the band. As a result, he didn’t feature on The Final Cut. It was the only Pink Floyd album that he didn’t feature on. This was just the tip of the iceberg. Pink Floyd had been a group divided since 1978. That was when the members of Pink Floyd found out the perilous state of their finances. Some of the investments made on their behalf went south. Amid accusations of financial negligence, Pink Floyd needed to recoup some of the money they had lost. So, Roger Waters presented the other members of Pink Floyd with two propositions. 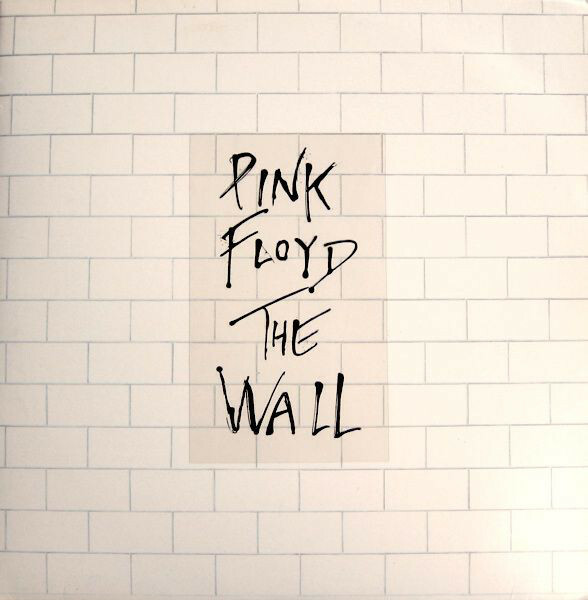 The first was the script to The Wall, Pink Floyd’s 1979 concept album. Roger Waters’ other proposition was The Pros and Cons Of Hitch Hiking. After giving both propositions some consideration, The Wall won out, and The Pros and Cons Of Hitch Hiking became Roger’s 1984 solo debut album. However, from that day on, things weren’t well within Pink Floyd. Keyboardist Richard Wright’s contribution to The Wall was criticised by Roger Waters. He was accused of not contributing enough and being uncooperative. Eventually, a deal was struck that Rick Wright would remain a member of Pink Floyd until The Wall was complete. That was just as well. When The Wall was released in 1979, on 21st March 1983, it was to critical acclaim. Soon, The Wall became Pink Floyd’s biggest selling album. Incredibly, The Wall outsold even Dark Side Of The Moon. In Britain, The Wall reached number three and was certified double platinum. Across the Atlantic in America, The Wall reached number one on the US Billboard 200, selling twenty-three million copes, resulting in the album being certified platinum twenty-three times over. This was just the tip of the iceberg. Elsewhere, The Wall reached number one in Australia, Austria, Canada, France, Germany, Holland and New Zealand. This resulted in The Wall being certified eleven times platinum in Australia; diamond in France; seven times platinum in Germany; fourteen times platinum in New Zealand; three times platinum in Switzerland, two times diamond in Canada; fourteen times platinum in New Zealand. If The Wall was Rick Wright’s swan-song, it was a profitable one. Roger Water’s final album with Pink Floyd never came close to being the same commercial success. Nearly four years passed before the release of The Final Cut. This was the first Pink Floyd album without Rick Wright. 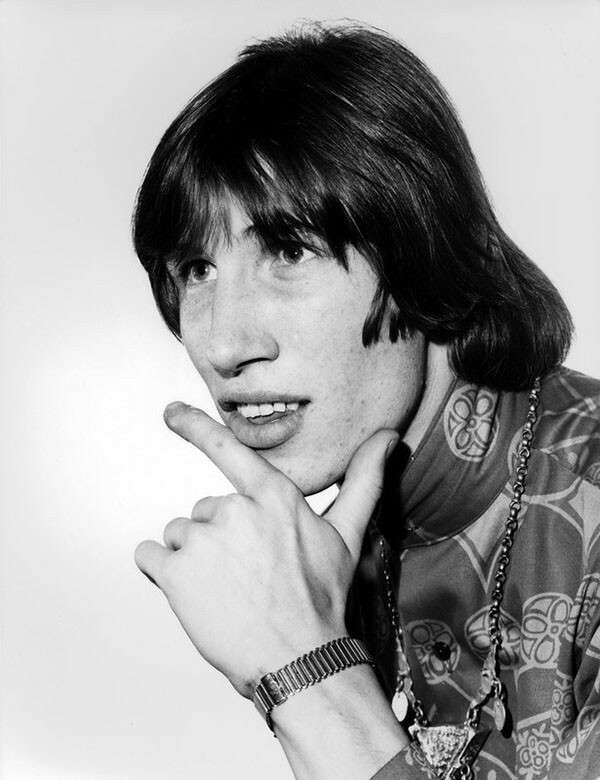 Most of the lyrics and music was penned by Roger Waters. Just like The Wall, The Final Cut was a very personal album for Roger. It was exploring what Roger believed was the betrayal fallen servicemen, including his father, who died while serving during World War II. 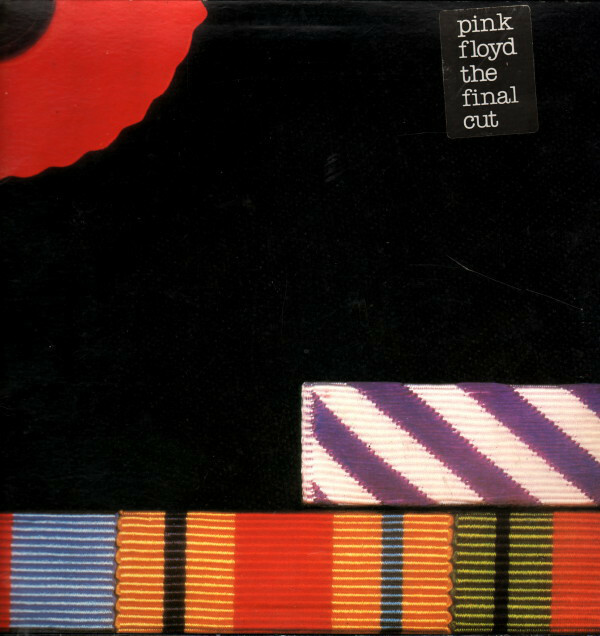 The only other member of Pink Floyd to contribute to The Final Cut was David Gilmour. He cowrote Not Now John. Mostly, The Final Cut was Roger Water’s work. It was scheduled for release on 21st March 1983. On the release of The Final Cut, it was accompanied by a short film. It was produced by Roger Waters and directed by Willie Christie. The film featured four songs from The Final Cut, The Gunner’s Dream, The Final Cut, The Fletcher Memorial Home and Not Now John. However, despite the final and what was a powerful and moving album, The Final Cut didn’t win favour with critics and cultural commentators. Reviews were mixed, as the release date loomed. When 21st March 1983 came around, The Final Cut was released. The Final Cut reached number one in Britain and number six on the US Billboard 200. This resulted in a platinum disc in Britain and The Final Cut was certified double platinum in America. Elsewhere, The Final Cut hadn’t sold in the same vast quantities as The Wall. However, at least The Final Cut was certified gold in Austria, France and Germany. Pink Floyd didn’t even bother touring The Final Cut. Instead, they turned to their various solo projects. The Pros and Cons Of Hitch Hiking. In Roger Waters’ case, this was The Pros and Cons Of Hitch Hiking. This was the project he had presented Pink Floyd with in 1978. It was another concept album from the pen of Roger Waters. It’s set in California, and focuses on a man in the throes of a midlife crisis. He’s on a road trip through California, where he dreams of committing adultery with hitchhikers. Other times, he’s beset by fears and paranoia. All this takes place between 04:30:18 AM to 05:12 AM. To bring this to life, Roger called upon some of his musical friends. This included guitarists Eric Clapton and Ry Cooder. They were joined drummer and percussionist Andy Newmark, percussionist Ray Cooper and saxophonist David Sanborn. Pianist Michael Kamen co-produced The Pros and Cons Of Hitch Hiking. It was recorded between February and December 1983. Once the recording was complete, The Pros and Cons Of Hitch Hiking was released on 30th April 1984. Before the release of The Pros and Cons Of Hitch Hiking, the critics had their say. Reviews were mixed. Some critics were impressed with The Pros and Cons Of Hitch Hiking. Others hated it, and didn’t shy away from saying so. One of the fiercest critics was Rolling Stone magazine. They gave The Pros and Cons Of Hitch Hiking their lowest rating. This was a huge body blow for Roger Waters. He wanted his solo career to get off to a successful start. When The Pros and Cons Of Hitch Hiking was released on 30th April 1984, it stalled at number thirty-one on the US Billboard 200, where it was certified gold. In Britain, The Pros and Cons Of Hitch Hiking reached just number thirteen in Britain. The Pros and Cons Of Hitch Hiking hadn’t been the success Roger had hoped. Things went from bad to worse for Roger. He was due to The Pros and Cons Of Hitch Hiking in 1984 and 1985. The tour began in Stockholm on June 16th 1984. Eric Clapton was part of Roger’s new band. They were going to play new songs, songs from The Pros and Cons Of Hitch Hiking and Pink Floyd classics. However, quickly, it became apparent that the tour wasn’t a success. Ticket sales were poor, and some of the concerts at larger venues were postponed. It was only when Roger began playing smaller venues, that the sold out signs went up. Eventually, when the tour was over, Roger Waters realised he had lost £400,000 on the tour. That was a conservative estimate. To add to Roger’s problems, the ghost of Pink Floyd was still making its presence felt. Pink Floyd-The End Of The Roger Waters’ Years. Following the release of The Pros and Cons Of Hitch Hiking, Roger Waters announced that Pink Floyd would not be reuniting. The only problem was, he hadn’t discussed this with the other members of Pink Floyd. He also wanted to dismiss Pink Floyd’s manager Steve O’Rourke. In his place, Roger employed Peter Rudge to look after his affairs. For the other members of Pink Floyd, all this came as a surprise. However, Roger Waters wasn’t finished. He wrote to EMI and Columbia, and told them that he had left Pink Floyd, and wanted to be discharged from his contractual obligations. Roger Waters had left Pink Floyd, and in the process, tried to wreck the possibility of the band rising like a phoenix from ashes. This was bound to end up in either tears, or court. Later, Roger Waters said that, if he other members of Pink Floyd made an album using the band’s name, he thought that they would be in breach of contract. This could result in their royalty payments being suspended. Further, Roger alleged that the other members of Pink Floyd had forced him from the band, by threatening to sue him. While all this was going on, Pink Floyd and its members past and present were in a state of flux. Nobody was making music. A resolution had to be found. So, Roger Waters headed to the High Court in London. Roger Waters wanted to dissolve Pink Floyd, and also prevent the use of the band name. He believed the band were “a spent force creatively.” However, he was in for a surprise. His lawyers discovered that the Pink Floyd partnership had never been formally confirmed. It was therefore impossible to dissolve something that never existed in the first place. Despite this, Roger Waters returned to the High Court. This time, he was trying to stop the other members of the band using the Pink Floyd name. Again, he lost out, and Dave Gilmour stated that “Pink Floyd would continue to exist.” With that, the leadership of Pink Floyd passed from Roger Waters to Dave Gilmour. Roger Waters returned to his solo career. With Pink Floyd returning to the studio, so did Roger Waters. He had penned another concept album Radio K.A.O.S. It was based upon key policies of late eighties politics, especially monetarism. Roger also takes aim at the then Iron Lady, Margaret Thatcher. He was an outspoken critic of Thatcher on The Final Cut. Four years on, and he was equally outspoken. Other subjects Roger tackles include the Cold War, eighties popular culture and world politics. These subjects are seen through the eyes of Billy. On Radio K.A.O.S., Billy is a mentally and physically disabled man from Wales. His brother Benny, is sent to prison after protesting against the government after he loses his job as a miner. This Benny is told, is the result of market forces. With Benny in prison, there’s nobody left to look after Billy. So he has to live with his uncle David in Los Angeles. Radio K.A.O.S. eavesdrops on Billy’s Billy’s mind and worldview, as he converses with Jim a DJ at a fictitious L.A. radio station, Radio K.A.O.S. This story is brought to life by Roger and what he called his Bleeding Heart Band. Between October and December 1986, Radio K.A.O.S. was recorded at the Billiard Room, London. Accompanying Roger, was a large band. This included many well known names, including guitarist Andy Fairweather Low, vocalist Paul Carrack and saxophonist Mel Collins. Clare Torry who featured on Great Gig In The Sky, from Pink Floyd’s Dark Side Of The Moon, featured on two tracks. 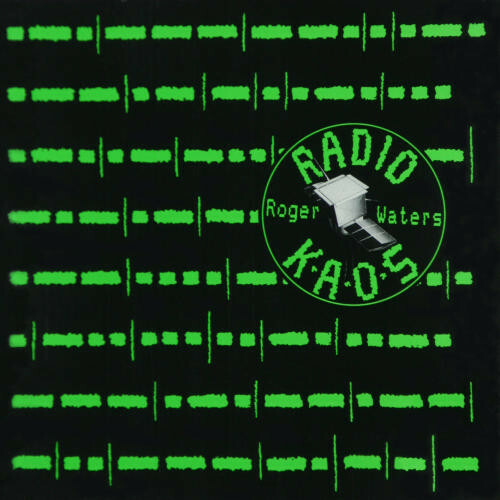 Surely with such an all-star band accompanying Roger, Radio K.A.O.S. would be released to critical acclaim and commercial success? The first most people knew about Radio K.A.O.S. was a press release from EMI, on on 6 April 1987. It announced that Roger Waters’ sophomore solo album, Radio K.A.O.S. would be released on 15th June 1987, and originally, it was hoped that this rock opera would become a film, stage show and live album. First of all, Radio K.A.O.S. would be released as a studio album. Just like The Pros and Cons Of Hitch Hiking, reviews of Radio K.A.O.S. were mixed. At least Rolling Stone were more positive about Radio K.A.O.S. However, it was a long way from Pink Floyd’s glory days. The Radio K.A.O.S. tour began in mid-August 1987, and finished at the end of November 1987. Everywhere he went, copies of Pink Floyd’s comeback album, A Momentary Lapse Of Reason were for sale. It had been released on 7th September 1987, reaching number three in Britain and in the US Billboard 200. A Momentary Lapse Of Reason was certified gold in Britain, and four times platinum in America. Having sold four million copies in America alone, the success continued throughout the world. Gold and platinum discs came Pink Floyd’s way. In Canada, Australia and New Zealand, through Europe, A Momentary Lapse Of Reason was a huge success. As the Radio K.A.O.S. winded its way across the globe, Pink Floyd’s A Momentary Lapse Of Reason continued to outsell Radio K.A.O.S. Roger’s solo career wasn’t the commercial success he had hoped. Later, Roger admitted that he wasn’t a fan of Radio K.A.O.S. He felt the album sounded “too modern.” That was down to Roger and Ian Ritchie’s production. It spoiled Radio K.A.O.S. for the man who masterminded the project. Maybe that’s why Radio K.A.O.S. wasn’t a huge commercial success? However, Roger hoped that his next album would see him rubbing shoulders with his old comrades commercially. To celebrate the fall of the Berlin Wall eight months earlier, Roger Waters performed The Wall-Live In Berlin on 21st July 1990. Roger Waters financed the project, and put together an all-star cast. Joni Mitchell, Van Morrison, The Scorpions, Snowy White and Bryan Adams were just some of the names that made a guest appearance. The concert was staged in what had been no man’s land between East and West. 350,000 people watched the sellout show which recorded and filmed. It would be released a month later on 21st August 1990. This was a really fast turnaround. 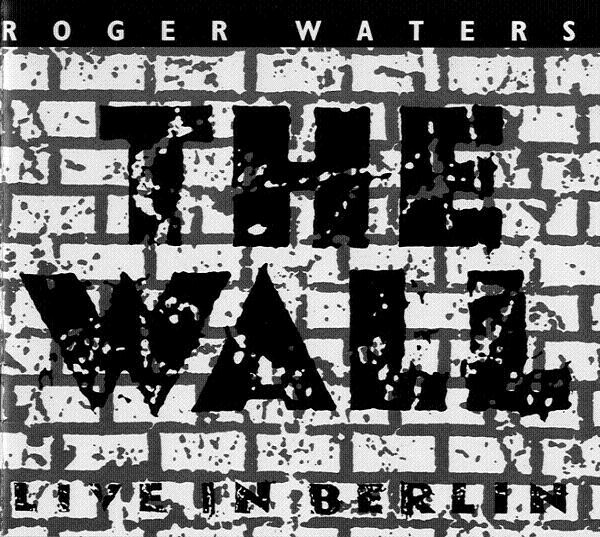 The Wall-Live In Berlin was recorded, produced, mastered and marketed within a month. This was a big ask. Ultimately, it proved too ambitious. Having financed the project himself, the plan was that once Roger Waters had recouped his expenses, the profits from the live album and film, profits would go the Memorial Fund For Disaster Relief, a British charity founded by Leonard Cheshire. However, it was a case of the best laid plans of mice and men. Sales of The Wall-Live In Berlin were disappointing. In Britain, The Wall-Live In Berlin reached number twenty-seven. Across the Atlantic, the album stalled at just number fifty-six in the US Billboard 200. Elsewhere, sales were disappointing. They failed to meet the projections. This had disastrous consequences for the charity. With the sales not meeting expectations, the charity incurred heavy losses. This resulted in the trading arm of the charity, Operation Dinghy, being wound-up a couple of years later. 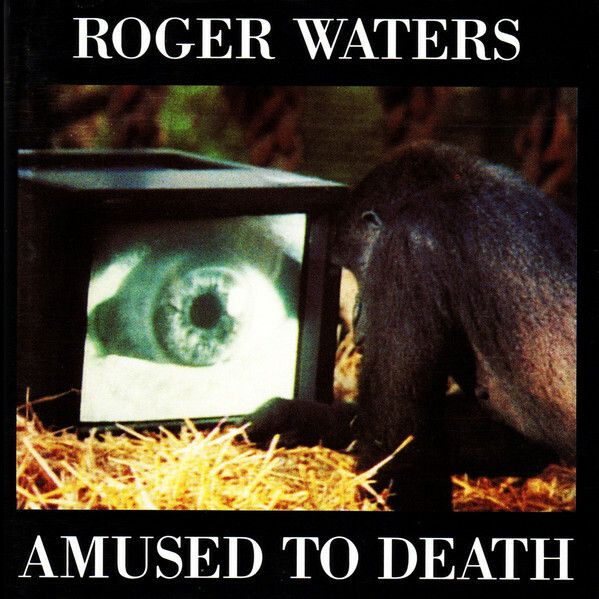 By then, Roger Waters had released his third studio album, Amused To Death which was recently released on double vinyl by Columbia Records/Legacy Recordings. Just like his two previous albums, Amused To Death was a concept album. Roger had been working on Amused To Death since 1987. The inspiration for Amused To Death came from Neil Postman’s book Amusing Ourselves To Death. By the time the concept was complete, it revolves around the a monkey who randomly switches between television channels. As channels change, different subjects are discussed. Among them are the Gulf War, World War I, the bombing of Jordan and Libya, and the Tiananmen Square protests of 1989. A total of fourteen tracks feature on Amused To Death. It was recorded between 1987 and 1992. Recording Amused To Death at various London studios. This includes The Billiard room, Olympic Studios, CTS Studios, Angel Studios and Abbey Road Studios Just like Roger’s two previous solo albums, Amused To Death features a large backing band. Some feature throughout Amused To Death, others feature on just one or two tracks. Many are well known names. Among them are guitarists Jeff Beck, Andy Fairweather Low, Steve Lukather and B.J. Cole, bassist Randy Jackson and drummer Jeff Porcaro. John “Rabbit” Bundrick plays Hammond organ, while vocalists include Don Henley and Rita Coolidge. Once the tracks were recorded, it was mixed in QSound. There was a reason for this. It was to enhance the spatial feel of the album. Especially, the sound effects used on Amused To Death. There’s a rifle range, sleigh bells, cars, planes, horses, crickets and dogs. They come to life on Amused To Death. It was produced by Roger and Patrick Leonard. Given the problems with production on Radio K.A.O.S. he wasn’t going to make the same mistake again. It had proved a costly mistake, one they weren’t going to repeat. After five years of work, Amused To Death was released on 7th September 1992. Given the reception The Pros and Cons Of Hitchhiking and Radio K.A.O.S. received, Roger awaited the reviews with bated breath. Reviews were favourable of what was a cerebral, poignant and thoughtful album. After the favourable reviews, Amused To Death reached number eight on the British charts. This resulted in a silver disc, marking sales of 60,000. 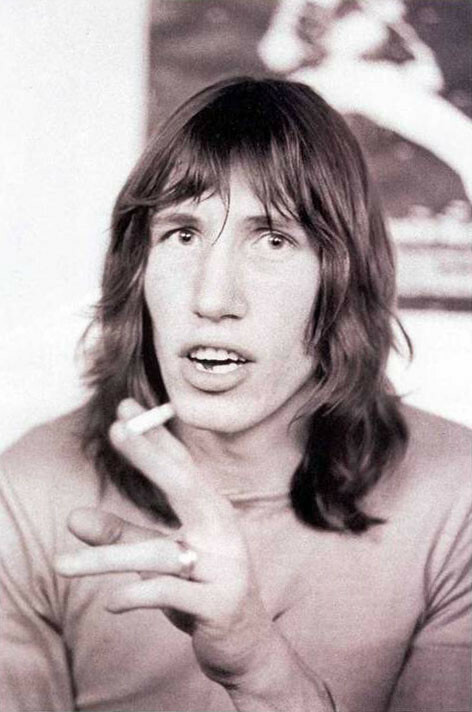 While it was a far cry from his days with Pink Floyd, it showed that Roger Waters’ solo career was on the right track. In America, this proved to be the case. Amused To Death reached number twenty-one on the US Billboard 200. He even enjoyed a hit single, when What God Wants, Part I reached number four on the Mainstream Rock Tracks charts. 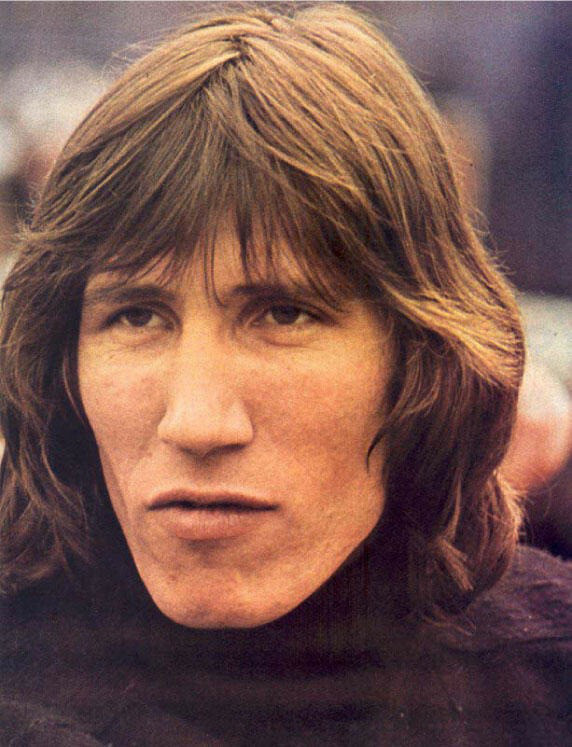 After three albums and eight years, Roger Waters was forging a successful solo career. Record buyers awaited Roger Waters’ fourth studio album. They waited a year. A year became two, three, four, five and six. Still there was no sign of Roger Waters’ fourth studio album. He returned on 5th December 2000, with a new live album, In The Flesh-Live. This was a double album featuring recordings from Roger Waters’ three year In The Flesh Tour. It features tracks from what Roger Waters the two classic albums he had worked on: “Dark Side Of The Moon and The Wall” There’s also tracks from his most recent solo album Amused To Death.” These tracks were recorded between the 16th and 27th June 2000 at concerts in Phoenix, Las Vegas, Irvine, California and Portland, during the American leg of the tour. They would eventually become part of a sprawling twenty-four track double album In The Flesh-Live. James Guthrie was brought onboard to produce In The Flesh-Live. It was to be released as a LP, CD, DVD and SACD. This meant that a stereo and 5.1 mixes were required. This could’ve proved time-consuming. However, the album was ready for released on 5th December 2000. The only problem was that the reviews were mixed. Rolling Stone magazine, especially took a dislike to In The Flesh-Live. They found very little merit in the album. The opinion of other critics was divided. Reviews ranged from lukewarm to mixed, while some critics praised the album. As usual, record buyers had the last say on In The Flesh-Live. When In The Flesh-Live was released, it stalled at a lowly 136 in the US Billboard 200 and 170 in the UK. This was the least successful album of Roger Waters’ solo career. Elsewhere, sales of In The Flesh-Live were disappointing. The only places where the album reached the top twenty were Holland, Norway, Poland, Sweden and Switzerland. Commercially, In The Flesh-Live had been a disappointment for Roger Water. 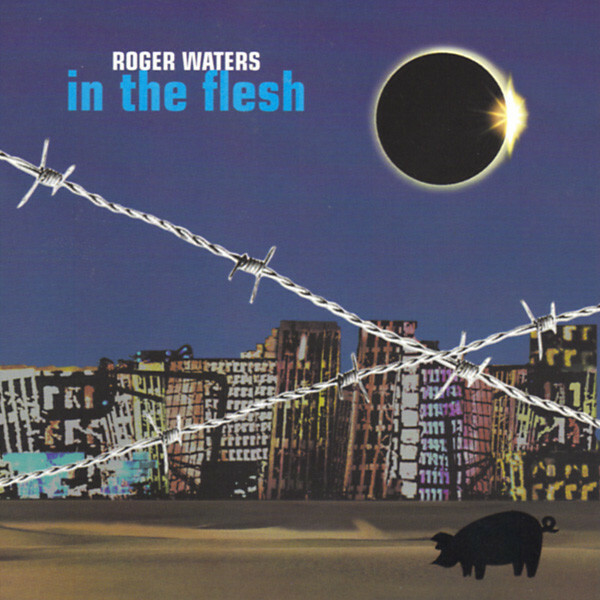 After the disappointment of In The Flesh-Live, nothing was heard of Roger Waters until 2005. 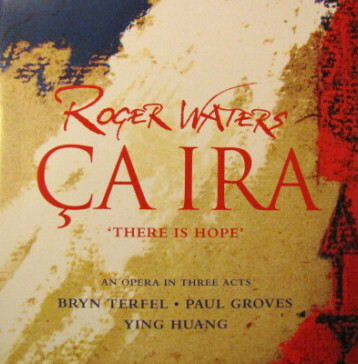 Then in 2005 Roger Waters released Ça Ira, a three act opera that was also a concept album about the early part of the French Revolution. .
Ça Ira had been written by two friends of Roger Waters, Étienne Roda-Gil and Nadine Roda-Gil. They asked Roger Water to set their French libretto to music. This he agreed to do, and brought Rick Wentworth onboard to co-produce Ça Ira. It was ambitious project that was eventually completed in 2005. The release of Ça Ira was scheduled for the 26th of September 2005. Before that, reviews of Ça Ira were mixed. Although Roger Waters’ composition was praised, the opera was regarded by critics as too narrative. This made staging the opera difficult, and means that the flow is constantly disrupted. Meanwhile, critics were divided about Ça Ira’s plot. Some critics regarded the plot as either to difficult to follow, or too simplistic. There was no consensus to the reviews of Ça Ira, as the release loomed. 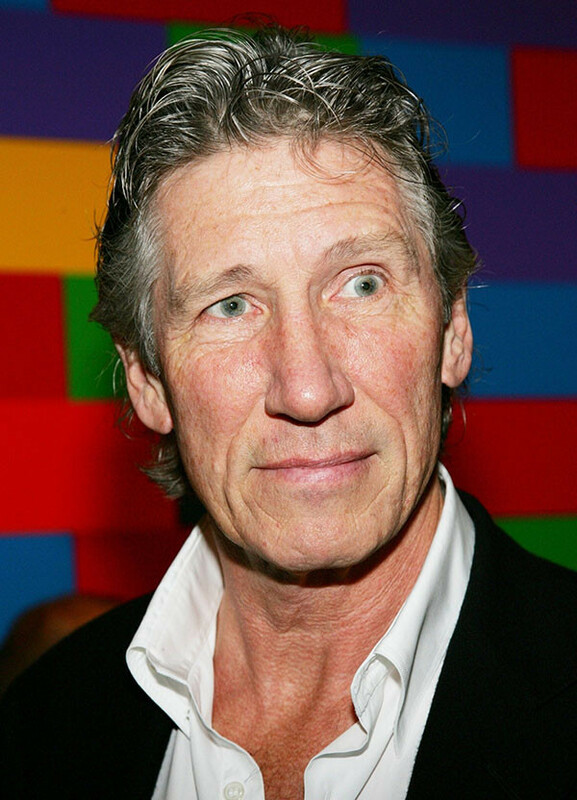 After Ça Ira, Roger Waters seemed to be in no hurry to return to the recording studio. The years passed by and still, there was no sign of a followup to Amused To Death. Meanwhile, Rogers’ former comrades had been busy. In 2014, Pink Floyd returned with a new album The River. This was Pink Floyd’s first solo album in twenty years. It was released to critical acclaim and commercial success. Still, there was no sign of Roger Water releasing a new studio album. 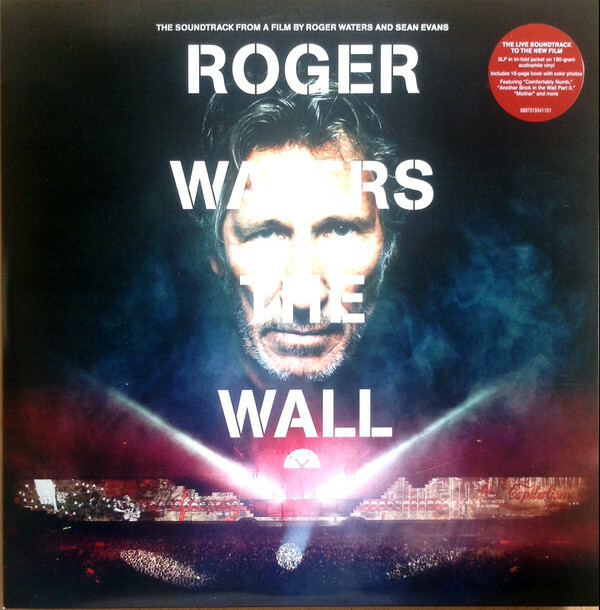 However, Roger Waters was about to release a new film version of the The Wall. Roger Waters had toured The Wall between 15th September 2010 and 21st September 2013. The six legs of this 219 date tour took just over three years and grossed US $458.6 million. Some of the concerts had had been filmed and recorded. They would eventually become the version of The Wall that was premiered at the 2014 Toronto International Film Festival on 6 September 2014. It would be just over a year before the film and soundtracks were released. Before that, the spotlight shawn on another member of Pink Floyd. David Gilmour had been busy. The man who replaced Roger Waters as Pink Floyd’s creative force, had recorded a new solo album, Rattle That Lock. It was due for release on the 18th of September 2015. This was the fourth album of David Gilmour’s career that began in 1978. Since then, David had been juggling his solo career alongside his work with Pink Floyd; playing on albums by some of the biggest names in music and his successful production career. That explained why David had released just four albums in thirty-seven years. Each had been commercially successful. Rattle That Lock was no different, and released to critical acclaim. Soon, Rattle That Lock was well on its way to being certified gold. This was the first strike in the battle of the Pink Floyd solo albums. Just elven days after the release of Rattle That Lock, the concert film of Roger Waters: The Wall was released on 29th September 2015. However, the soundtrack wasn’t released until 20th November 2015. Maybe Legacy who were releasing Roger Waters: The Wall weren’t wanting the release of the two albums billed as a shootout between the two former bandmates? If that was the case, this was a wise move. Roger Waters: The Wall didn’t replicate the commercial success of previous albums. The album stalled at a disappointing 134 in the US Billboard and fifty-three in the UK. In Australasia, Roger Waters: The Wall reached thirty-eight in New Zealand and forty-six in Australia. Across Europe, the album reached twenty-nine in Austria; twenty-two in Germany; eleven in Norway and twenty in Switzerland. This was a disappointing outcome. Especially as David Gilmour’s Rattle Than Lock was selling well across the world and would be certified gold in the UK. Just like at the High Court, David Gilmour had triumphed again. Since the release of Roger Waters: The Wall in November 2015, there is still no sign of Roger Waters releasing a new studio album. He’s now seventy-three, and twenty-four years have passed since the release of Amused To Death. It was the third solo album from Roger Waters. Nowadays, it seems that Roger Waters prefers touring than recording. He’s embarked upon several lengthy tours, with In the Flesh and Roger Waters: The Wall both lasting three years. These tours find Roger Waters playing to huge audiences that span several generations. Night after night, he rolls back the years, combining music from his years with Pink Floyd his solo material. This includes his trio of solo albums, The Pros and Cons Of Hitch Hiking, Radio K.A.O.S. and Amused To Death. They’re ambitious and complex albums that took several years to write and record. Despite this, they never received the recognition they deserved. Some critics didn’t seem willing to give Roger Waters’ solo albums a fair hearing. Led Zeppelin and to some extent Black Sabbath had been down the same road. They had suffered at the hands of the self-same critics and publications, and had been left shaking their heads. What must have proved disappointing for Roger Waters, were the sales of his three albums. They never found the audience they deserved. Especially in in the lucrative American market. Only The Pros and Cons Of Hitch Hiking was certified gold. That was as good as it got for Roger Waters in America. It wasn’t much better in Britain, with Radio K.A.O.S. and Amused To Death being certified silver. It was a long way from his days with Pink Floyd, when Roger Waters was able to decorate his walls with gold, platinum and diamond discs. However, he was never going to replicate the success of Pink Floyd. No one member of Pink Floyd was capable of doing that. This success came as part of a collective, that became one of the most pioneering bands sixties and seventies. Alas, Pink Floyd ended in tears and tantrums. An appearance at the High Court in London spelt the end of Roger Waters’ time with Pink Floyd. Life after Pink Floyd wasn’t as successful for Roger Waters. He may have been Pink Floyd’s leader after the departure of Syd Barrett, but none of the music the band made would’ve been possible without Dave Gilmour, Nick Mason and Richard Wright. No man is an island. Maybe Roger Waters only realised this after his departure from Pink Floyd. 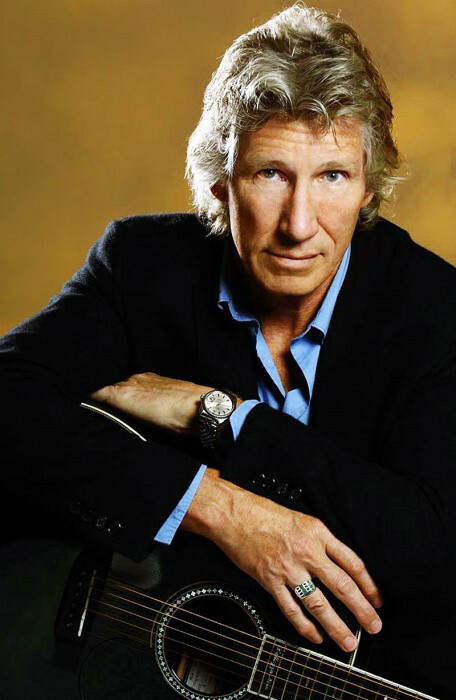 However, Roger Waters still managed to release a triumvirate of ambitious and to some extent, underrated studio albums during his solo years which has spanned the last four decades. ← THIS IS LOWRIDER SOUL 1962-1970. I grew up listening to Pink Floyd, but when I first head Pros and Cons of Hitchhiking, it BLEW MY MIND. Loved it, still do, even though I don’t normally love concept albums, Roger Waters was, is and will always be a musical genius, in my opinion. Money problems – who would have ever guessed. And, the pain of such harsh critics – truly quite a story. An amazing one, in fact. Thank you.